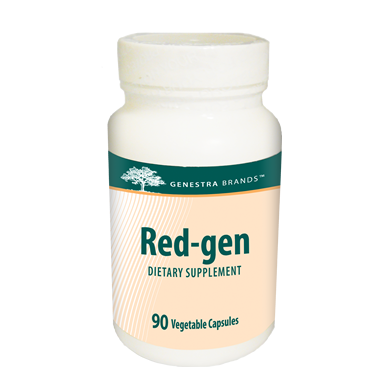 Genestra Red-Gen is a red algae formulation. Red algae extract is comprised of minerals which most closely mirror the naturally-occurring mineral matrix found within the human body. It is a source of calcium to help in the development and maintenance of bones and teeth. 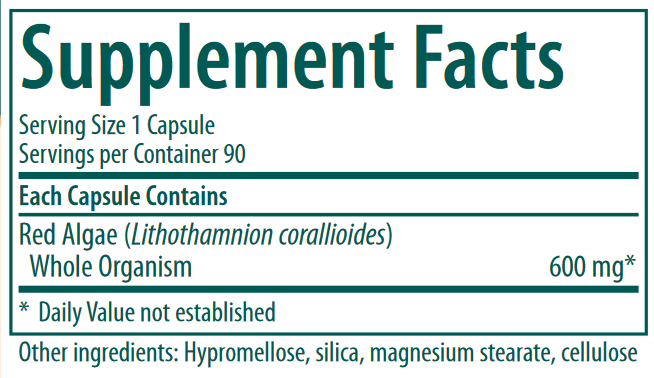 Recommended Dose: Take one capsule two times daily, a few hours before or after taking medication, or as recommended by your healthcare practitioner. Guaranteed to contain no added starch, soy, sodium, sugar, artificial colouring or flavoring, dairy or animal products. Ideal for vegans.